Everyone has had good and bad experiences with the phone provider and between awful phone plans and terrible customer support sometimes you honestly feel like they are the worst people to walk the earth and only care about their own self interest. Trust me when I say though that no one has has a worse time with a Telco than Maurice German. 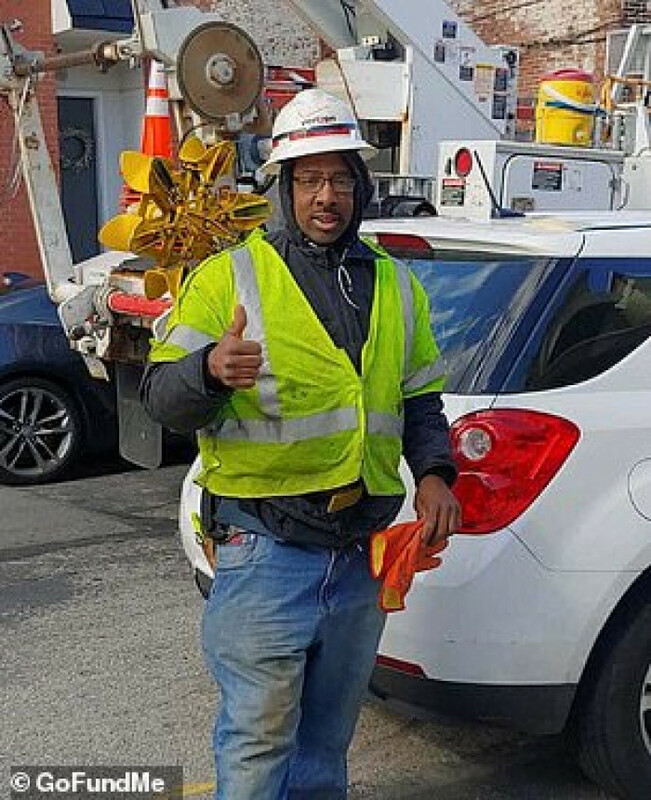 Maurice is a field technician for Verizon who was working in Port Richmond, Pennsylvania when he was asked by a resident to help rescue their cat 'Momma' who had been stuck on a telephone pole for 12 hours. Attempts were made to save the cat prior and many organisations were called including the fire department, phone company and animal rescue. 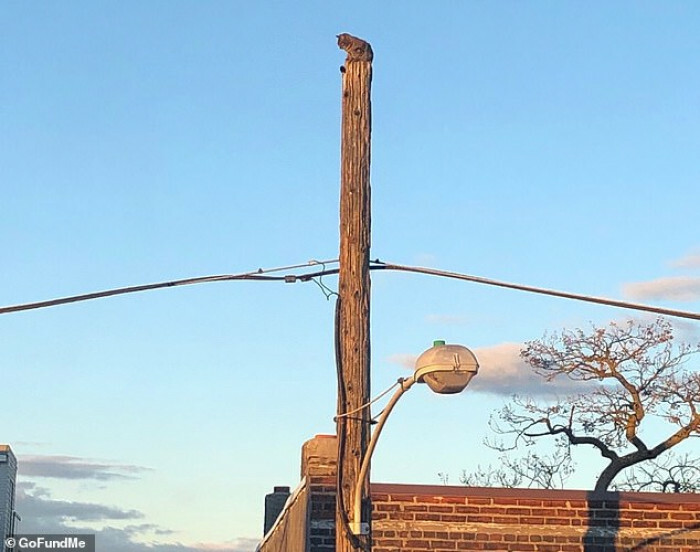 The cat in question stuck on a telephone pole. 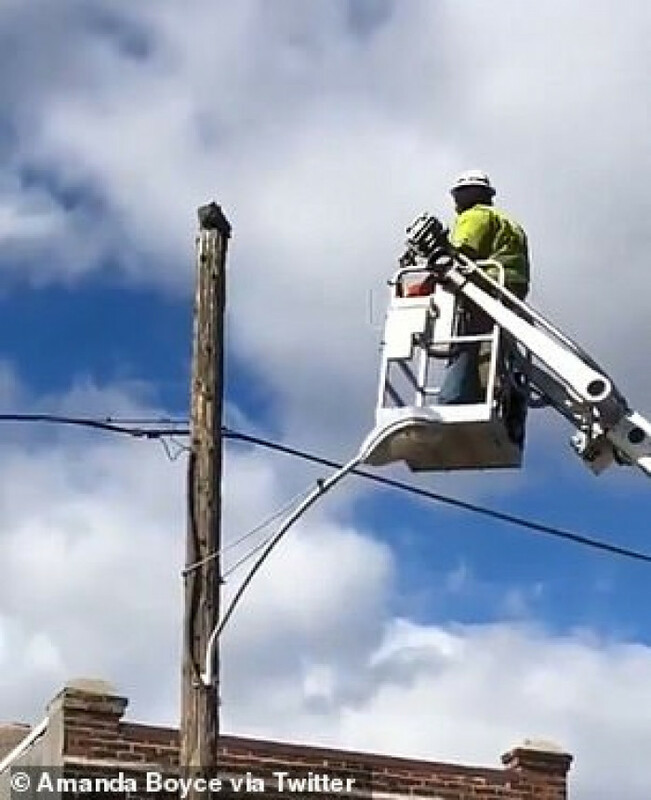 He agreed and used the boom lift to reach the cat as many other residents looked on. The cat was returned safely to its owner. All should have been well with this situation but Verizon was not happy with German and suspended him for 15 days. "We take no joy in this job action. However, we’re committed and responsible for keeping our employees and customers safe while working in a particular area." The network continued explaining the training their field technicians have to go through and the exercises they go through to ensure that they keep themselves and the wider community safe. "Unfortunately, while this employee’s goal was admirable, he potentially put his life and those around him in jeopardy. While our actions may not be popular, it’s in the best interest of our employees and the communities we serve." "The $4,650 goal is the equivalent of the 15 days (3 weeks) pay that Maurice will forgo for simply being a human being looking to help one of our 4 legged friends. Thank you in advance for your donation, and please remember that no donation is too small." The campaign has exceeded its $2,400 goal and has raised $3,395 and is no longer accepting donations. What is your opinion on this? Did German do the right thing? Did Verizon act unfairly? Did you donate to help German with his income during the 15 days?